She takes over immediately for Melvin Hines. 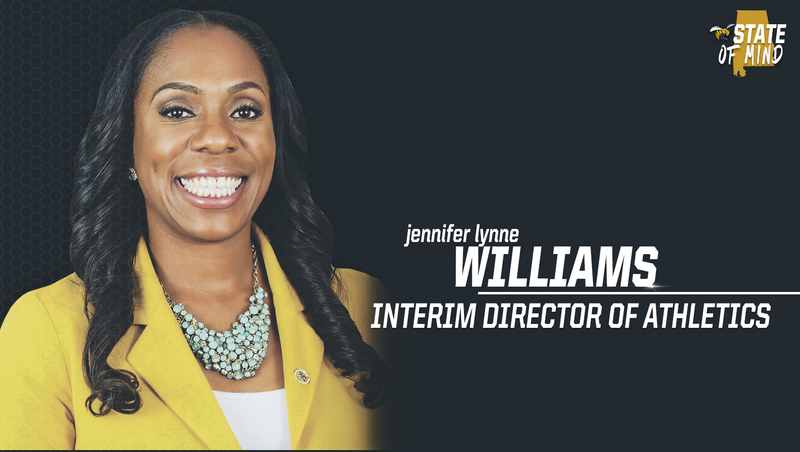 MONTGOMERY, Ala. | Alabama State University President, Dr. Quinton T. Ross, Jr., has announced that Jennifer Lynne Williams will move into the role of Interim Director of Athletics with the resignation of Melvin Hines. Williams, in her second year at Alabama State, has more than a decade of experience in athletics administration. As the Deputy Director of Athletics, she managed the day-to-day operations of Hornet athletics and led the division’s external and community relations initiatives. She currently serves on the Executive Board of the National Association of Athletic Development Directors (NAADD). “I would like to thank Dr. Ross and the Alabama State University leadership for entrusting me with leading our athletic department,” Williams said. “I am extremely grateful for this opportunity to serve as the Interim Director of Athletics and lead such a wonderful, accomplished group of student-athletes, coaches and staff that have carried on the long, storied history of Alabama State athletics. Williams came to Alabama State after spending four years as the Associate Athletic Director of Development and Executive Director of the Aggie Foundation at North Carolina A&T. Williams oversaw the giving initiatives for athletics and raised more than $4 million in donor revenue while doubling the number of donors for athletics. Prior to her time at North Carolina A&T, Williams spent three years at DePaul University (2009-12) as the Assistant Director of Development. She also worked at Women Leaders in College Sports (formerly the National Association of Collegiate Women in Athletic Administration), volunteered at North Carolina Wilmington (2008-09) and worked at North Carolina Central (2005-07), where she got her start in athletics development. Williams will assume her new duties immediately. Lady Hornets earn the automatic bid for the NCAA Championships.